SERVICE, REPAIRS, RE-PIPING, REMODELS, we do it all! Not all jobs are the same and depending on the issue the cost varies. We offer a flat rate of $207.50 for a Main Line Cleaning. To run the video camera starts at $250.00. Call to ask us about our home safety package and earthquake package deals ! Use the form below to tell us about your plumbing problem, and we’ll call you back to schedule an appointment. Please be as detailed as possible. Include what problems you’re having along with your contact information. 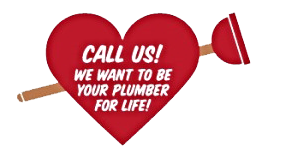 You may also email or call us to schedule a plumber. Our general response time is one business day. Please include all issues you're having with your plumbing and your method of payment.